DSK was to launch the TRK 502 before the Auto Expo 2018 but that did not happen. Now under partnership with Mahavir Group, Benelli will launch the TRK 502 and 502X on 18th February in India. It will be the first all-new motorcycle launch from the brand in their second innings. This also means that Leoncino has been delayed and may be prioritised after the TRK and quite correctly so! Expect the ADV to hit our local dealerships around March-April 2019 period. Autocar recently posted the first spy pics and it is the ‘X’ that was snapped under tests. TRK 502X is the more off-road friendly version which gets 19 inch spoke wheels at the front and 17 inch spoke wheels at the rear. In comparison the regular 502 comes with 17 inch alloy wheels both at the front and rear. 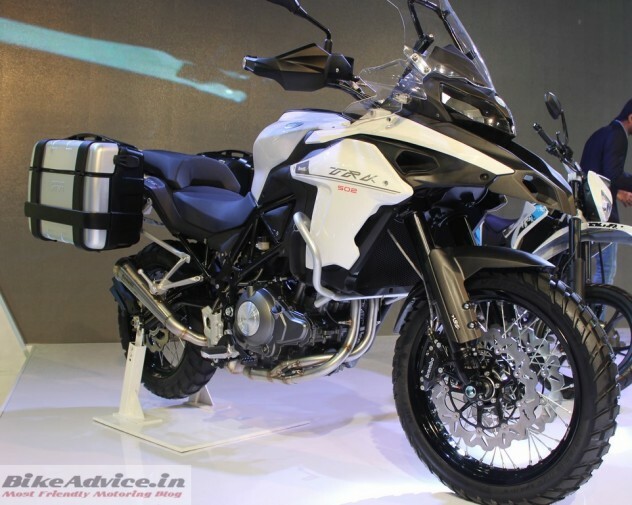 Prominent ADV traits include 50 mm USD front forks, big 20 liter fuel tank for larger range etc. Seat height is manageable 840 mm but the motorcycle tips the scale at 213 kg which is heavy for all human sizes! 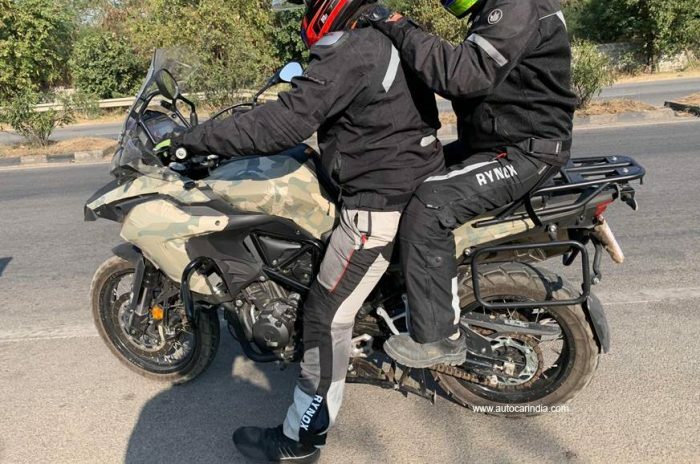 Launch in Two Versions: Benelli has confirmed that TRK 502 will be introduced in both versions – standard and off-road friendly 502X which is what you see in the above pic. 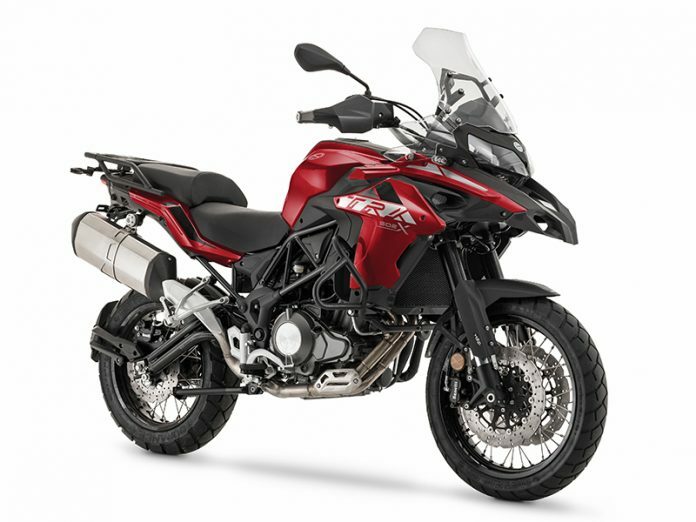 Benelli believes that TRK 502 will take care of the void created by the discontinuation of TNT 600GT. What Powers: TRK 502 is equipped with the same twin cylinder engine of the Leoncino and produces 47.6 bhp of peak power at 8500 rpm and 46 Nm of max torque at 6000 rpm. The ‘X’ has got some differentiated bits to make it a more off-road centric machine. 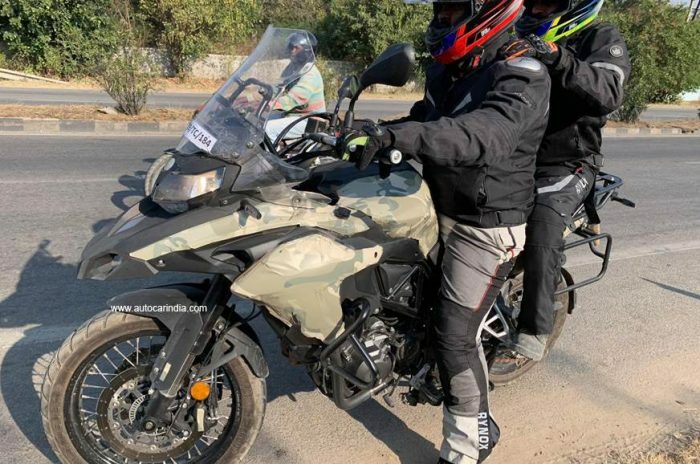 TRK 502 Expected Pricing – Benelli’s mindset is not really clear at this point but we believe that the base TRK 502 may cost somewhere around 5-5.5 Lakhs or thereabouts and it is pure guesstimate at this point of time. 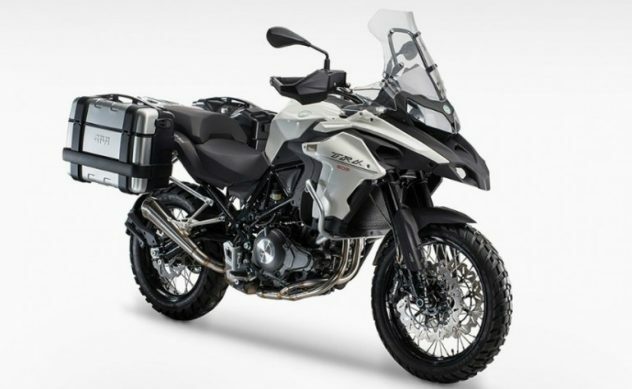 TRK 502 Competition – At one end it will slug it out with the smaller ADVs like BMW G310 GS, Versys X300 and the upcoming KTM 390 Adventure and at the other, it will rival mid-sizers like Versys 650, V-Strom 650 (read review) etc. And if that is not all, Benelli also has plans to introduce the smaller, and the very interesting single cylinder TRK 251 in India, but sometime later!